It is this time of the year again to dust off your french attire and berets and get ready for the Franschhoek Bastille Festival! Dress in red, blue and white for the weekend, embracing its French heritage, and adding to the hype and excitement the weekend. The annual Franschhoek Bastille Festival is held in a large marque tent at the Huguenot Memorial museum. 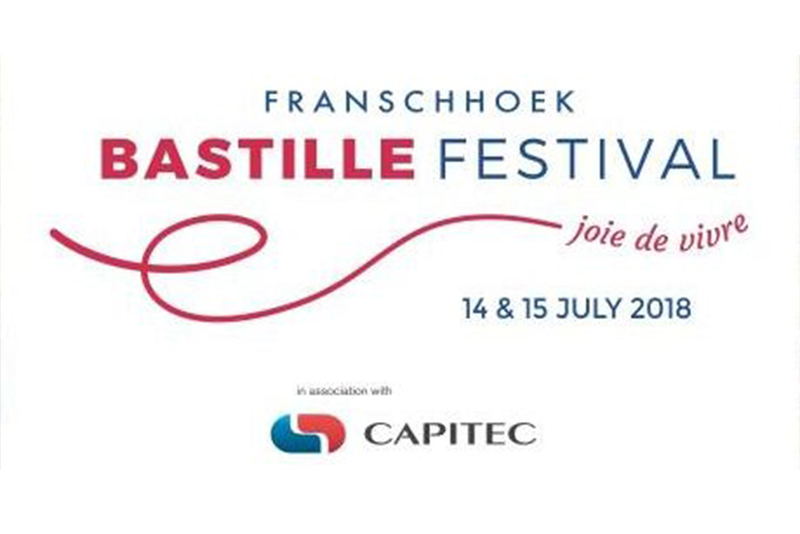 Franschhoek Bastille festival is the annual food, wine and culture extravaganza embraces the decadence of its heritage to showcase the area’s gourmet treats and quirky traditions. Essentially, the fiesta is scheduled to return with a slew of much-anticipated favorites that have been known to keep visitors coming back year after year. The focal point of every year’s get-together is the Food and Wine Marquee, which will be hosted at the Huguenot Monument in Franschhoek. Here, first-time and regular festival-goers can sip and swirl wine, listen to live musical entertainment put on by local artists and appreciate the fine gastronomy of the region. The exhibition area is jam-packed with stalls serving up both delectable fare and top-notch reds, whites and MCCs, and those milling about are urged to buy of bottle of something and settle in for the afternoon. The festival spans the whole of Franschhoek and some of the Cape’s most loved wine farms are taking part! The festival includes Franschhoek Cellar, Chamonix wine farm, Haute Cabriere, Boschendal, Leopards Leap ,and Val de Vie Estate.